RV for Sale: Which RV Type is Right for You? From teardrop trailers to toy haulers, the list of design options to consider when purchasing an RV is a long one. When looking at an RV for sale, it is important to get an understanding of the different classes, so you can choose from among the many different types of new and used campers​. 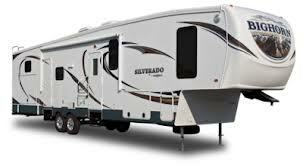 RVs are either towable or motorized (self-propelled) and can be grouped according to class. These are motorhomes from 29 to 45 feet long and appear similar to a bus from the outside. They are spacious and are constructed on a chassis designed for motorhomes. They typically sleep six passengers. • The size and the ease of moving around inside. • A range of amenities, including central heating and air. • Handles well on the road and learning to drive one is relatively easy. • A second vehicle is essential for shopping and other errands while camping. • Requires a large storage space when it is not being used. These can have features similar to Class As like kitchens and bathrooms, but are more compact. If you own a van, then you will find the experience of driving a Class B very similar. They are usually between five and 20-feet-long and sleep four. • Small enough to be used like a car. • A range of amenities available including electrical and water hookups. • Too small for large groups to live in for extended periods. These are built on the chassis of a commercial van and are sometimes called “mini motorhomes. The lengths usually range from 30 to 33 feet. They have a distinctive look due to the extra bed that hangs over the cab. 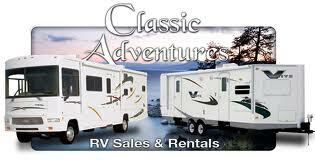 • Many of the same amenities as Class A motorhomes like toilets and electrical/water hookups but at a lower price. • Considered a safer motorized RV than Class A. • Larger models may be difficult to park; a second vehicle may also be necessary for short-distance errands. • May not be large enough to meet some campers’ need for space. 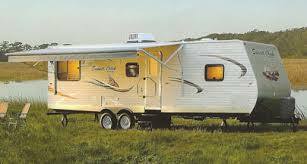 These are the most common type of RV and are designed to be towed behind another vehicle. There are multiple sizes, and they come with amenities similar to those found in Class A motorhomes. The amenities include bay windows, storage bays for bikes and other vehicles. • The tow vehicle can be used for short-distance errands. • A lower roof, which makes top storage easier, with no worries about clearance. 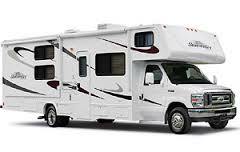 • Difficult to maneuver on the road compared to other RV types. • Less space than other RV types. • Complete separation of living quarters and towing vehicle, so no access while moving. Due to the design of these trailers, they can only be towed by flatbed or pickup trucks since the hitch is located in the center of the truck bed. • Easier to tow and maneuver than conventional travel trailers. 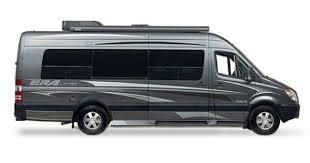 • More room than Class A motorhomes because they do not have engines. 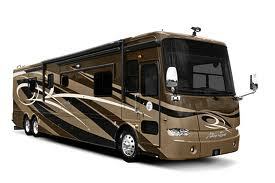 • Roomier than other RV types as they often have high ceilings and slide-outs. • Takes more skill to maneuver than Class A motorhomes. Finding an RV for sale that suits most budgets and size requirements is easier than you might think, even if you’re in the market for used campers. There are many factors to consider, however, and it is important that you do some research beforehand and weigh the options carefully.